Ellen Johnson Sirleaf, Leymah Gbowee, Tawakkul Karman are the winners of 2011 Nobel Peace Prize. The women were recognized "for their non-violent struggle for the safety of women and for women’s rights to full participation in peace-building work". The committees decision was intended to bring attention to the world about suppression towards women and to instil faith in the society for women. Applaudible isn't it?? Especially because of the challenges women face in middle east and Africa. A few deserving candidates were rightly honoured like Desmond Tutu, Martin Luther King, Henry Kissinger, Liu Xiaobo last year being my best pick of the list. Not only its a recognition of their struggle against either a populist \ democratic \ capitalist \ political agenda. Its also for the next generation to look up to these people as a role model to tackle similar situations. Even human beings make mistake and so do the committee sometimes (wink). 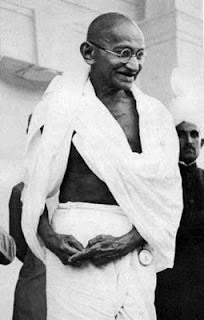 Something like the case of our father of the nation 'Mahatma Gandhi' a mistake from which Nobel Peace Prize can never ever recover. Though later on Mother Theresa and Dalai Lama were notably and rightfully awarded (to satisfy the Indian Quota) elusion of Gandhiji still haunts many.